Warren Buffett’s Berkshire Hathaway had $US111 billion of cash on its balance sheet at the end of last quarter, the most in the company’s history. That means they missed out on an M&A bonanza that saw a record-breaking $US2 trillion in deals through mid-May. But it also means Berkshire Hathaway has set a record of its own: It now has the biggest cash balance in the firm’s storied history. While that can be construed as good news for Buffett & Co. – since they have a veritable war chest of capital ready for deployment – it carries far starker implications for the overall market. That’s because Berkshire Hathaway’s reluctance to buy anything can be viewed as a signal that just about everything is too expensive. And considering Buffett is one of the most successful investors in history, his market behaviour should watched closely. 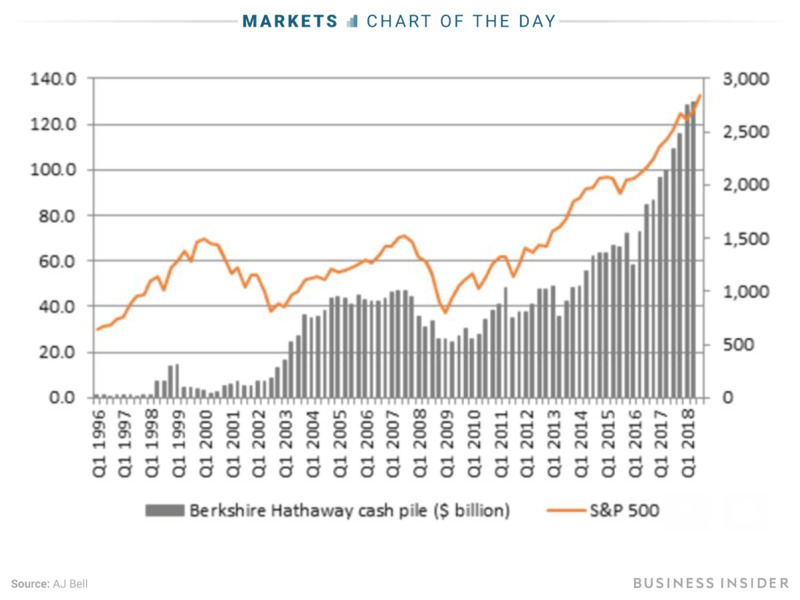 AJ BellBerkshire Hathaway’s cash balance has hit record levels as stock prices have done the same. Russ Mould, an investment director at AJ Bell, has taken notice. He’s wary of the speculative deal fervor he sees accompanying record stock prices. 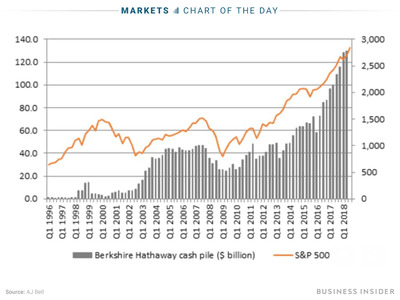 Mould points out – and indicates in the chart above – that Berkshire Hathaway’s cash balance has been an effective proxy for market levels over history. As you can see, Buffett held comparatively high levels of cash in the periods preceding the two most recent market crashes, in 1999 and 2007. 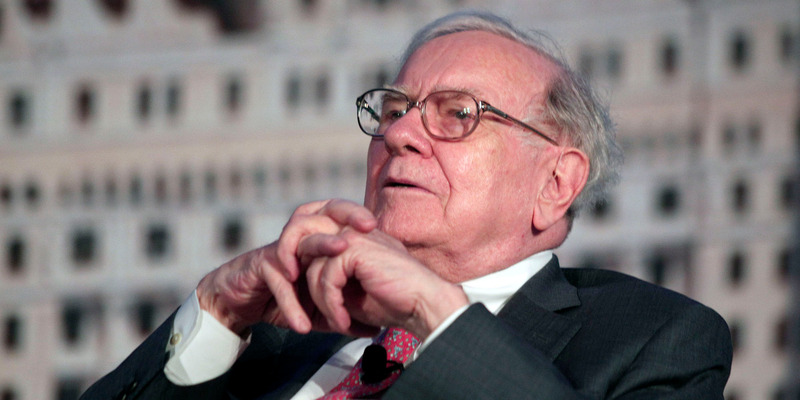 So the question for investors now becomes whether to follow Buffett to the sideline or to stay invested in a market that is, by many measures, overextended. After all, the longer they wait, the higher the likelihood they will be left holding the bag when things go south.